The time is almost nigh, malls and high streets are illuminated with Christmas lights, enthusiastic shoppers are out in full force and children’s Christmas wish lists are getting longer and longer. More importantly to for pond owners note, you have probably had to spend one or two mornings scraping the ice from your car so far this Autumn, so if your car is frozen over, you can be sure your pond water will be feeling the effectives of the incoming winter chill. As the outdoor temperatures dive towards freezing, water temperatures also plummet and this can put a lot of strain of your fish, pond life and even your pond plants. However, there are a few winter pond maintenance tips to follow that will ensure your fish remain healthy throughout the blistering winter season. 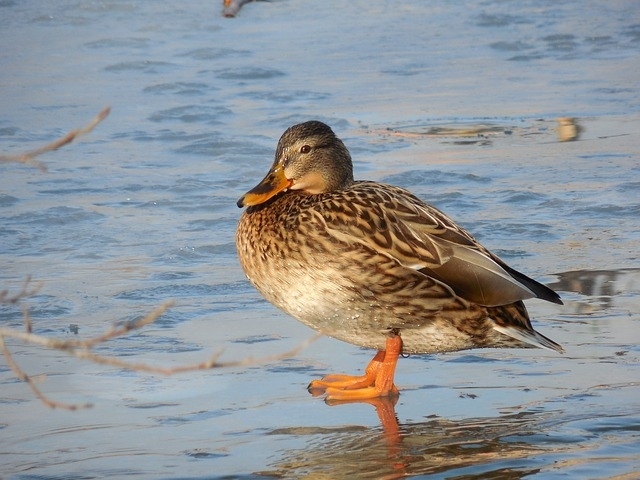 Ice prevention should be one of your first considerations for your garden pond in winter. 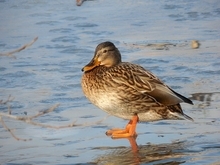 As opposed to spending your mornings de-icing your pond, it is best to terminate the layers of ice before they form. Not only is de-icing a winter garden pond an unnecessary labour, allowing the pond to fully freeze over is dangerous for your fish as their bodies struggle to cope with the colder conditions and toxins become trapped under the ice which is also a hazard to your fish. Investing in a pond heater is an easy way to ensure a small surface of area of your pond remains free of ice, vital for allowing potentially poisonous gasses to escape from your pond. 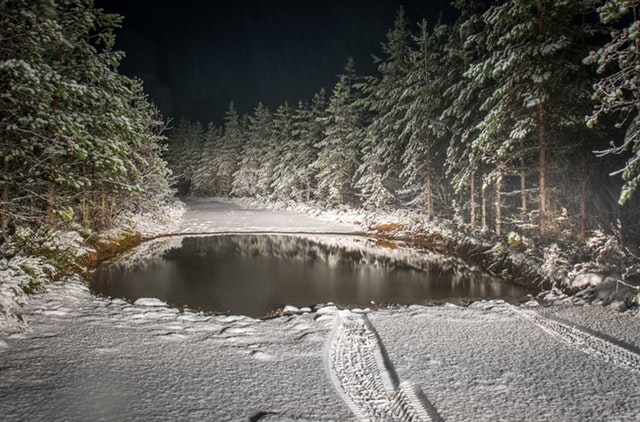 A winter pond heater will also help to maintain water temperatures and avoid them from plummeting too low in the midst of the festival and further winter seasons. Some pond heaters feature a temperature gauge, allowing you to have full control over your ponds water temperature for the comfort of your fish. In most circumstances we are encouraged to break the ice, but in terms of a frozen garden pond, go against everything you have been taught… DON’T break the ice. In the unfortunate event that you entire ponds surface freezes over, please do not break the ice. Doing so sends shockwaves through your pond and inflicting avoidable stress upon your pond fish, which can sometimes lead to the death of your fish. 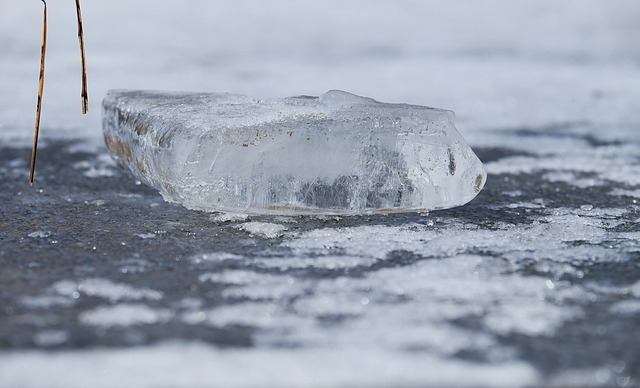 Pouring hot water onto a frozen windscreen can cause more damage than good, the same applies to a frozen pond. Emptying boiling water onto your ponds surface can similarly send detrimental shockwaves through your pond and ultimately harming your fish. Having said that, harmful gasses can become fatal after a build-up over a number of days, so it is important to act quickly. Again we recommend a pond heater, this will defrost your ponds surface water and prevent the same issue from reoccurring this winter. During winter, the metabolism of your pond fish will change and thus the nutritional requirements of the fish will also change. As the temperatures stoop, your fish become less active and their ability to digest high protein food decreases and so any high protein foods that your fish are fed during this time will remain undigested and cause bloating in your fish. If you continue to introduce feeds throughout the winter period, you should try wheat germ based fish foods and also decrease the amount and frequency of the feeds. There are many wheat germ fish foods that have been specifically designed for this time of year. They have been made with high wheat content, lower protein for easy digestion and designed to reduce ammonia excretion of your fish, encouraging a healthy water habitat for your pond fish. Pond nets are extremely effective in keeping away unwanted debris from your pond. As we progress through autumn and winter, debris such as fallen leaves can enter your pond and can create a potentially hazardous water quality for your fish from producing toxins, as well as forming a layer of sludge in your pond that can block your pond pumps and filter systems. A garden pond net will stop these leaves in their tracks, keeping your pond free of debris and helping you to avoid a lengthy and laborious cleaning task in the winter frost when you could be sat inside in the warmth with a rich hot chocolate. However, it is important to ensure that you don’t FULLY cover your ponds surface. Covering your pond entirely might seem wise as it will block debris and potentially prevent ice from forming on your ponds surface, but this can actually have a negative effect. Your pond requires as much sun intake as possible due to the short winter days, but fully covering your pond will prevent the sunlight that your fish and pond plans both need to survive. Don’t Neglect Your Pond Plants! Pond plants are not only for the aesthetics of your garden pond, they promote a healthy environment for your fish and maintain balance in your ponds overall ecosystem… pond plants are nature’s own filtrations system. Most pond plants are sturdy enough to survive the UK’s winter months and therefore don’t need to be fully removed from your garden. However, due to a plants importance to the health of your pond life, they deserve their own bit of TLC in the winter, too. Although many plants might survive the winter, a few may shed a leaf or two and it is important to remove these from your pond as soon as possible to prevent them from decomposing and sinking to the bottom of your pond and forming a layer of sludge. You should pay close attention to your plants throughout autumn and winter, and trim any dead foliage from your plants before it has the chance to shed, if possible. Just by following these simple steps, the chance of your garden pond making it through the winter period fighting fit will significantly increase and your pond fish will be ready to swim their way into spring in a few months’ time. All of our pond supplies that will help to promote a healthy environment for your fish this winter can be shopped online, but if you have any specific queries on providing the best care for your pond and its fish, call us on 01922 416 284, and we will be happy to help!